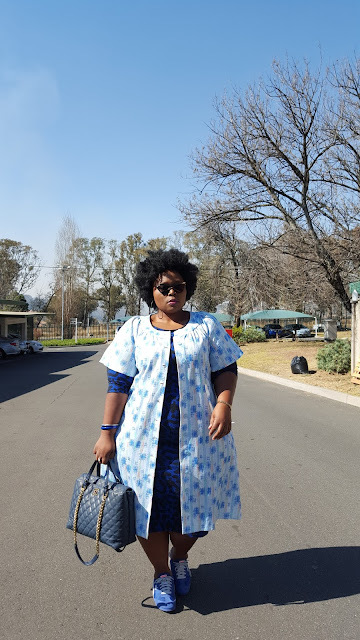 Thick Fit And Fabulous: Hello 2016!!! It feels very weird to actually be writing this post as I have written so many in my mind since the last time I posted here. It has been very difficult to sit down and do an actual post due to many things (lack of a photographer but mostly lack of motivation) but I am very happy to be writing one tonight. I really have missed doing this and have missed all of you and your strong support on what I do. Thank you so much for everything guys, mostly for allowing me to be me. All is deeply appreciated!!! Quick Update: I have a photographer for daily outfits posts (my colleague - Mandisa Maforevane). She is a blessing in my life and she came at the right time. This is a major achievement for me and I celebrate everyday for this. You all know how much I have been struggling on this regard eversince my relocation to Johannesburg. All of that resulted in me not posting at all on this page. I know, I could have continued to post about beauty products I use or items I have copped (sneakers mostly) --- or even blog about my weightloss journey. I don't know - I guess I was just demotivated. Last time I posted something here I felt like I was cheating you guys as I blogged about #AdidasSuperstarSneakers without full body pictures of me wearing them. I tried but became unhappy afterwards. Anyway, I am back now and I am intending to ensure that I give you all nice and juicy posts. I have taken many pictures in the past month and I will try as much as I can to write blog posts about all those outfits - am sure you have seen most of them as I have been keeping myself busy on other social media mediums like Instagram, Facebook and twitter... I just feel a need to still write about them and be permanently available here. I have many collaborations done and others coming up with designers, plus-size bloggers and plus-size clothing stores etc.... I cant wait to share info about all these projects with you but you will have to wait a lil bit :) sorry! For tonight: ill share just one picture to remind you of how I look like, lol mostly its a reminder of how my style taste is like. I am not gonna talk about what I am wearing now as another post with enough supporting pictures of this outfit will be posted shortly. There is no particular reason why I chose this picture out of all pictures I have taken so far except that, it has captured perfectly what I am all about on the style front - "Vintage Inspired Style and me being a Sneaker-Head Queen". Hope you are ready for everything good I am bringing this year (what is left of it). If you have any specific interest that you would like me to come on my posts please give suggestions on the comment box of this post - ill try my best to ensure all get covered depending on feasibility of the request of-course. So happy to see you blogging again! I've been following your fab style on Instagram - you always rock it! Hope that all is well, you were very much missed.